BOOK | RUN! RUN! RUN! 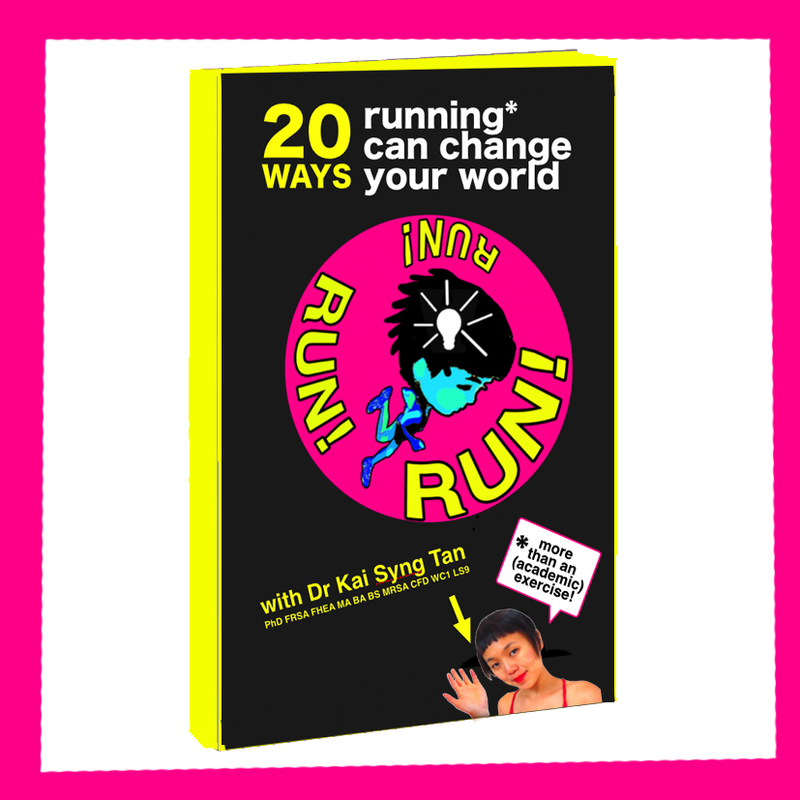 * Potential READER, reserve COPIES OF RUN! RUN! RUN! 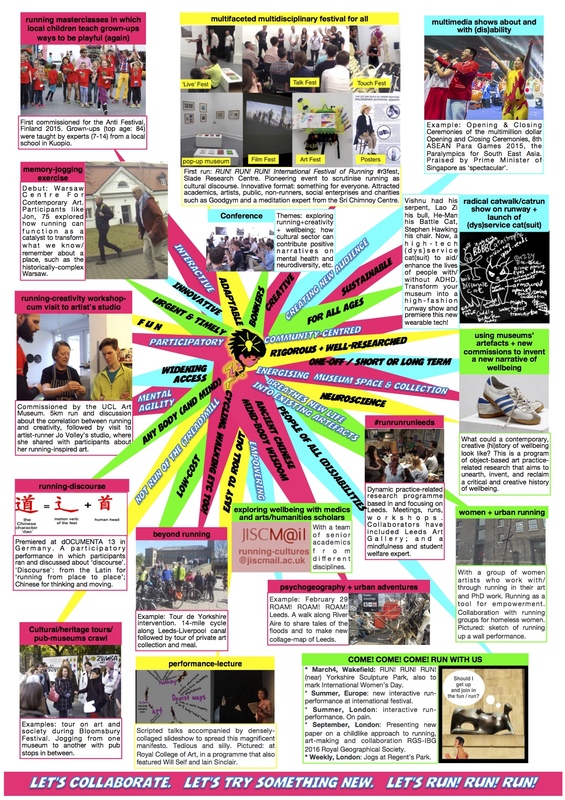 20 WAYS RUNNING CAN TRANSFORM YOUR WORLD – MORE THAN AN (ACADEMIC) EXERCISE now. Potential PUBLISHER, email Kai for a sample illustrated full colour spread and a couple of glorious unputdownabbleheartstompingtemperatureraising chapters now. This is a first-of-its-kind how-to book + artist’s book + manifesto + Jane Fonda-esque workout + new take on a piping-hot topic + not by a middle-aged middle class white male + startling synthesis of the non-Western philosophy of Daoism (Taoism) + digital art + neuroscience + highly informative yet entertaining + personal pov + delightful meanderings + 10,000 new pathways doors possibilities routes. Get yours yours and yours so that you can go on and on about running and go on to run run run further better more more more. In this genre-bashing book, Kai exercises her artist’s eye – and head, and heart, and body – to re-invent the popular exercise of running into a creative toolkit – or app, in today’s parlance – for the 21st century person to re-invigorate the way we relate to the city, technology, the powers that be as well as the way we think. While scholarly and rigorously-researched, this is also a light-hearted and user-friendly handbook or exercise book that upturns the exercise of running into something more than just an exercise, as well as something more than an academic exercise. RUN! RUN! RUN! 20 Ways Running Can Change Your World! 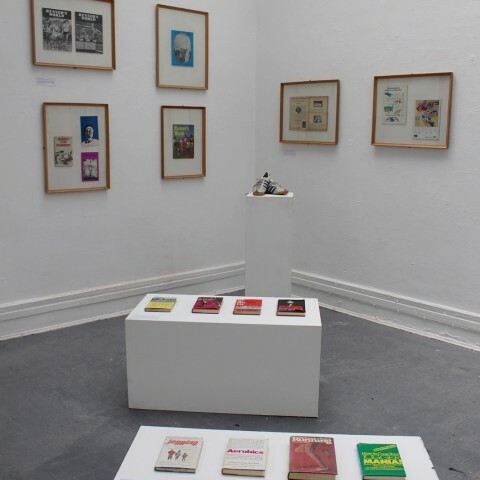 is filled with original artworks (including a flip-book feature on each page), fantastical maps (including a ‘Nondon A-Z’), training tips, run-related fun puns, personal anecdotes and delightful meanderings. 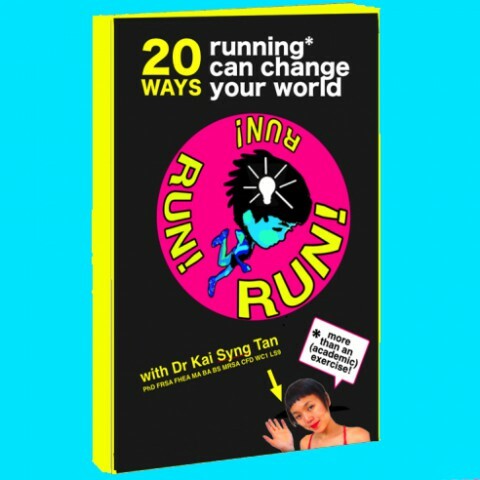 The book is not just about running, but reads like ‘running’, as Kai – and the reader – scamper through, pick-and-mix and mix-and-match a dizzying and delicious array of sources including digital art, performance, neuroscience, paleo-anthropology and the ancient Chinese philosophy and practice of Daoism (Taoism). In this whirlwind tour, we will encounter a vast posse of characters from the legendary Pheidippides to Harvard biologist and barefoot runner Professor Daniel Lieberman, Aristotle to Lao Zi (500BCE), and Steve Jobs to ‘Master of Performance Art’ Teh-Ching Hsieh. Inspired by Kai’s Fine Art PhD thesis that she wrote at the Slade School of Fine Art as a UCL scholar, RUN! RUN! RUN! 20 Ways Running Can Transform Your World is at once philosophical yet poetic, practical yet pretty useless and plain bonkers at the same time.